There have been leaders who were great in the sight of man but not in God’s, and leaders who were great in God’s sight but not man’s, and there have been leaders who were great in both God’s and man’s sight. In the third category are people from all faiths and nations, who have served their nations and missions without compromising on their conscience towards God. Dwight David Eisenhower, 1947, Oil on canvas by Thomas Edgar Stephens. As the general who led the Allies to victory in Europe during World War II, Dwight D. Eisenhower enjoyed a postwar popularity that inspired thoughts in many quarters of running him for the presidency. But the much-revered “Ike,” with his politically potent grin, did not initially want the office, and it was not until 1952 that Republicans finally prevailed upon him to seek it. After Eisenhower left the White House in 1961, many political commentators indicated that they had not been especially impressed with this immensely popular President’s performance. In time, however, Eisenhower’s presidential ratings have risen, in the face of increasing appreciation for his sound fiscal policies and efforts to promote peaceful coexistence with the Soviet Union while still maintaining a strong posture against its threatened aggressions. 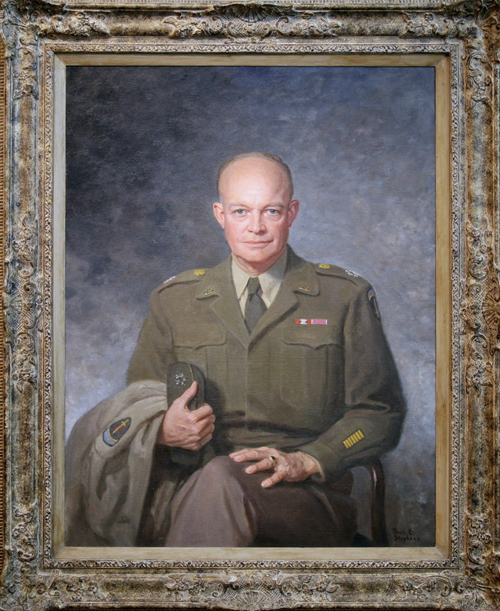 Eisenhower was serving as chief of staff of the United States Army when he sat for this portrait. As the general who had led the Allies to victory in Europe during World War II, he was, like many military heroes before him, inspiring much talk about his White House potential. Please note that being ‘a great leader’ should not be equated with being a leader over a great organization or a nation. It is not greatness of position in the government or corporate world that this message is about, but greatness of stature and character of the person who is the leader. A man in great position need not necessarily be a wise leader. A great leader can be an official in an unknown department of a government office, or a school teacher, or a village physician, or a grocery owner. The great leaders in little positions in life are qualitatively just as great in the degree of stature as the great men who lead large organizations or nations. This principle is clearly validated in a parable by the great Teacher. The men in the parable, although one was given a greater amount of money, were both rewarded equally. Whether you are a current leader in government or business or in a profession, or a young person aspiring to a position of leadership in the national or corporate sphere or just in your community, you may find the following insights helpful in your pursuit of leadership that is truly ‘great’ in the sight of all. The great leader will prove to his followers, above everything else about his leadership, that he is absolutely faithful to his people in every circumstance. He will be the last to leave a sinking ship (unlike what happened at the disaster of the Italian cruise ship Costa Concordia a year ago, as I write this, in which 32 passengers lost their lives; the captain was charged with abandoning incapacitated passengers), whether a literal oceanliner or an enterprise that spans across the oceans, and if there is still a single person left on the deck unrescued, he will disregard the safety of his own life to save that person over whom he is the leader. Would you? A leader who is great in every other quality but somewhat shaky in his faithfulness to his cause and his people, is less than a mediocre leader. Faithfulness is the single greatest quality for true greatness in leadership. In fact, without faithfulness as the supreme quality of his character, a man cannot even enter true leaderhood. ‘Our most important tools for building employee partnership are job security and a stimulating work environment. Our union leadership has recognized that we provide job security, and there hasn’t been a lot of that in the airline industry. Certainly there were times when we could have made substantially more profits in the short term if we had furloughed people, but we didn’t. We were looking at our employees’ and our company’s longer-term interests. And, as it turns out, providing job security imposes additional discipline, because if your goal is to avoid layoffs, then you hire very sparingly. So our commitment to job security has actually helped us keep our labor force smaller and more productive than our competitors’. That quote is from the most influential article I have ever read on corporate leadership and corporate strategy. It gives vital, indispensable insights on management and leadership that no aspiring leader can afford to miss. If you haven’t read it yet, you may access it by typing in ‘A Culture of Commitment’ in the search box at www.hesselbeininstitute.org. In contrast to Kelleher’s statement, ‘Certainly there were tines when we could have made substantially more profits in the short term if we had furloughed people, but we didnt’, another statement, that I saw in the media while preparing this message, says, ‘Panasonic to lay off 5,000 employees’. The Japanese firm said that the people were being cast out of their premises because ‘the move aims at boosting operating profit margin to a minimum of 5 percent over the coming 3 years through lowering labor costs’. Panasonic, however, was not founded on their present corporate principles. 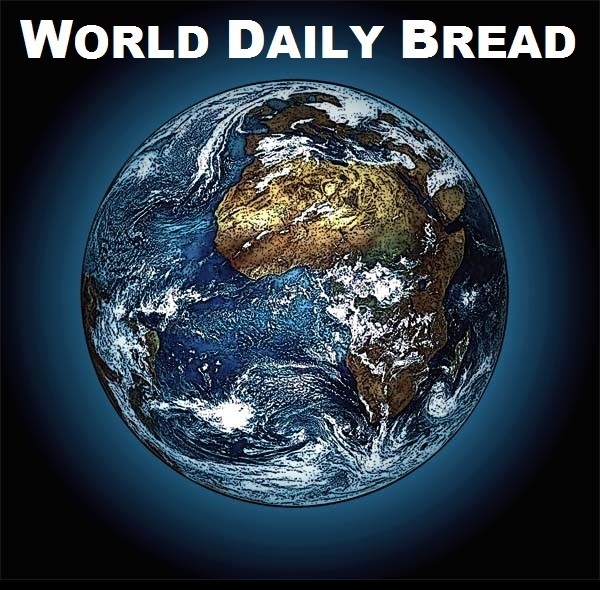 Its founder’s statement still reads: ‘Recognizing our responsibilities as industrialists, we will devote ourselves to the progress and development of society and the wellbeing of people through our business activities, thereby enhancing the quality of life throughout the world’. Somewhere along the global path of their progress, someone at the helm got a better idea (the company’s slogan is ‘Ideas for Life’), and he decided the best way to devote themselves to the progress of society and the wellbeing of people was to increase their profit margin by laying off employees. If anyone reading this message knows someone at the top of that company, perhaps you may want to send him a message telling him that the only way a company can perpetually continue to function with profit is by being faithful to their employees. Or you may refer him to this message. Unfaithfulness to employees in the corporate world, as in corporal affairs, may provide a shortterm benefit of increased profits, but eventually end in bitterness of business. During his tenure as CEO of Southwest, Kelleher’s colorful personality created a corporate culture which made Southwest employees well known for taking themselves lightly – often singing inflight announcements to the tune of popular theme songs – but their jobs seriously. Southwest has never had an in-flight fatality. Southwest is consistently named among the top five Most Admired Corporations in America in Fortune magazine’s annual poll. Fortune has also called him perhaps the best CEO in America. The second greatest quality needed for greatness in the sight of God and man is mercy. Mercy is perhaps the most overlooked, the most absent quality in corporate leadership. The policy of Herb Kelleher, not to furlough employees when business is low, is actually mercy in action. Mercy is applicable in innumerable situations daily in the workplace. For the present message, I can only mention a few instances where you can apply mercy. An employee who is late for work often, or slow of work; instead of taking punitive action, you do your best to go to the heart of the cause for the employee’s apparent tardiness or sloppiness. A worker who messed up a job because he did not adhere closely to your instructions. A follower who backbit you or your organization, or who acted against company policy and did something that could potentially harm you or your organization. This last instance is perhaps where the true depth of mercy is revealed in a leader. It is here that leaders fail the most – they usually fire the one who put them in a dire situation, instead of sitting down with the ‘betrayer’ and finding out what really caused such behavior from one of their employees or followers. I know of more than one case, where, had the CEO just sat down once with his ‘traitor’ and had a heart to heart talk with him, and listened to his version of what happened, the leader would have acted differently, instead of forever terminating the employee’s association with the organization. Hear what one of the wisest leaders in history says on the subject of taking to heart everything negative a person hears about those under him. The third most vital quality for greatness of character is compassion. A leader who has compassion for his followers comes down from his high office to the floor level where he can feel in his heart and his bones the passions and pains of the least of those he leads. Compassion goes beyond empathy – the ability to understand another person’s feelings and experiences. Compassion acts on empathy, and does concrete works to ensure the elimination or alleviation of the factors causing his follower’s pains. Here’s an extreme scenario of an incredulous act by a compassionate leader. One of his female workers, an assembly worker in a multinational company producing the latest gadgets for executives, who had completed a part-time university course, was keen to attend the commencement. But the single mother’s regular babysitter wouldn’t be available on that day, and she couldn’t find anyone else so soon. The boss came to know of this situation from his secretary who was a neighbor to the single mother. A few hours before the graduation ceremony, the boss and his wife knocks on the apartment door of the mother. They offer to babysit the toddler during the whole time the woman needs to attend one of the most important events in her life. The stunned woman couldn’t believe it, but believes it anyway, participates in the commencement, and comes floating on a cloud back home. An unbelievably lowly act performed by someone from a lofty position. But for the babysitter – the president of one of the largest conglomerates in the world – it was just a normal day, a mere reflex response of his mind arising from the great compassion in his heart. The final vital quality for greatness is humility. The most beloved leaders in history are also those who were the humblest. The two national leaders that come to my mind are Abraham Lincoln and Gandhi. Humility among business and professional leaders is rarer to find, but wherever it is found, there is also greatness there. 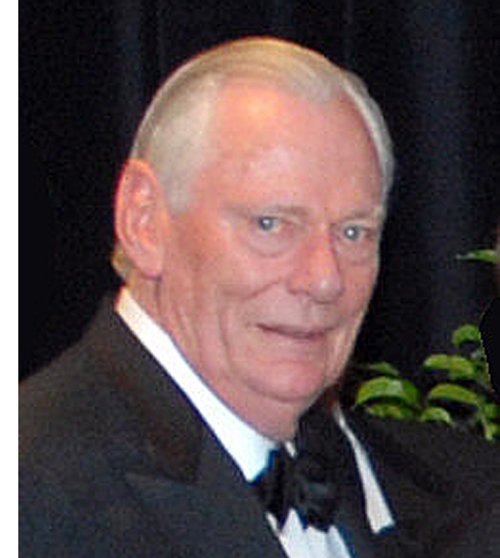 Herb Kelleher is one example. Warren Buffet is another. I think a good measure of this quality is evident in Bill Gates too, but certainly not in some others of his corporate stature. ‘Bradley Owens, assistant professor of organization and human resources at the University at Buffalo School of Management, and co-author David Hekman, assistant professor of management at the Lubar School of Business, University of Wisconsin-Milwaukee, asked 16 CEOs, 20 mid-level leaders and 19 front-line leaders to describe in detail how humble leaders operate in the workplace and how a humble leader behaves differently than a non-humble leader. ‘Although the leaders were from vastly different organizations – military, manufacturing, health care, financial services, retailing and religious – they all agreed that the essence of leader humility involves modeling to followers how to grow. ‘The researchers found that such leaders model how to be effectively human rather than superhuman and legitimize ‘becoming’ rather than ‘pretending’. ‘Owens and Hekman offer straightforward advice to leaders. You can’t fake humility. You either genuinely want to grow and develop, or you don’t, and followers pick up on this. The greatest way to show humility is by gentleness in dealing with the common people. Gentleness is humility in action. It is gentleness that finally makes an individual or a nation great. It is gentleness, above every other human quality, that inspires a leader’s followers to be able to grow in greatness themselves. That’s the quality that made an ancient king great in God’s and man’s sight. There are other basic qualities a leader needs to grow in greatness in the sight of man and of God. But the qualities I mentioned here are the fourfold radicle and primary root of great leadership from which all the other qualities spring from: Faithfulness. Mercy. Compassion. Humility.